A fully beaded strand of wood beads make up this stretch bracelet. 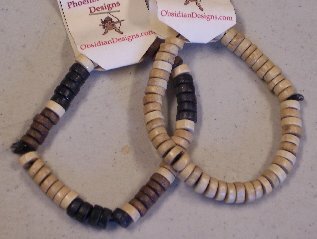 There is some variety in terms of the shade of the color of these polished wood beads. 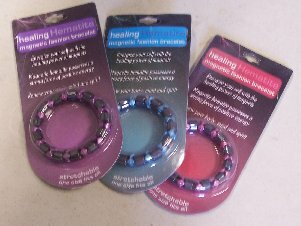 A strand of magnetic hematite beads of various shapes make up this stretch bracelets. This bracelet is made of braided leather that can be size adjusted to your wrist by tying. Choose between various leather colors. 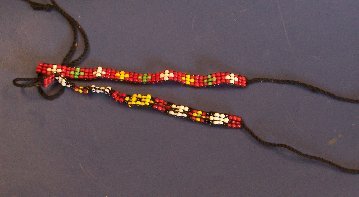 A narrow seed bead loom beaded bracelet with loose end ties. 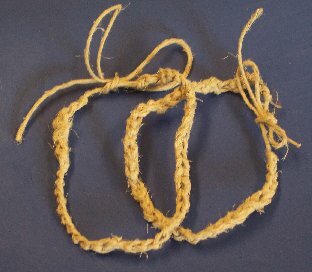 A simple bracelet out of braided hemp. 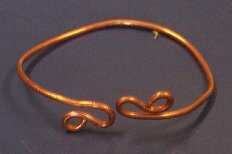 A bracelet formed of a maleable copper that can be shaped to fit your unique wrist.